A solid steel central leg supports the tabletop. This table is very stable. The design is inspired by the steel constructions of New York skyscrapers and on, that great open space, the Central Park. 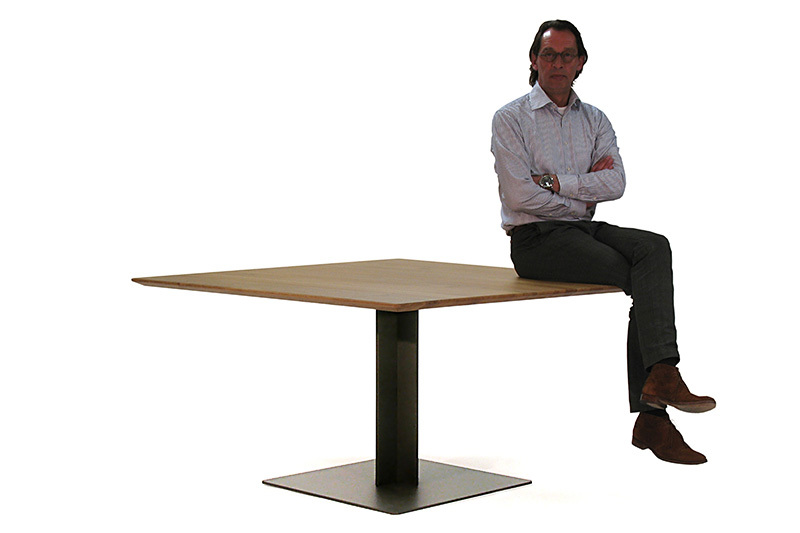 Table is available with a rectangle, square, round or an ellipse shape tabletop. In any size to suit your project.